Lisa Baer had little hesitation making the decision in her freshman year to major in computer science. Now, looking forward to graduating from Arizona State University in the spring, Baer says she has never second-guessed her choice. In fact, she is “more passionate than ever” in pursuit of a career as a computer scientist. “It’s that feeling you get that your accomplishments aren’t due to your own merits, and fearing that one day you will be exposed and disappoint people,” she says. She wasn’t alone among her fellow female computer science students in experiencing such feelings. Studies say the syndrome seems to be common even among high-achievers, particularly women who find themselves in situations where they can feel out of place or isolated because of their gender. That describes the kind of environment found in many computer science college classrooms and labs, where women remain a disproportionately small minority. “You might think that being the only woman in a class would make you feel special. But it really doesn’t,” says Nichola Lubold, who earned an undergraduate degree in computer engineering and is now at work on a doctoral degree in computer science. “I’ve never felt that I’m not good enough,” she says. “But you can still get this feeling that maybe I don’t belong and maybe this isn’t right for me,” she says. Carole-Jean Wu, an assistant professor of computer science in ASU’s Ira A. Fulton Schools of Engineering, says she sees that kind of doubt prevalent among some of the female students who make up only 15 percent of the 1,900-plus computer science majors at the university. As a result, “We have really bright students who don’t stay” in the program, Wu says. She points out that in addition to a small percentage of peers among female computer science majors, the number of female faculty members in the program is also comparatively low. “So those students don’t see a lot of role models, and some of them don’t see a friendly environment or a good future for themselves in the field,” she says. To try to change that situation, Wu and some of her faculty colleagues have worked to establish and maintain support for a scholarship program to send many of the women in the Fulton Schools computer science program to the annual Grace Hopper Celebration of Women in Computing. The event produced by the Anita Borg Institute for Women in Technology and presented in partnership with the Association for Computing Machinery is the world’s largest technical conference for women in computing, drawing more than 15,000 participants from more than 60 countries. 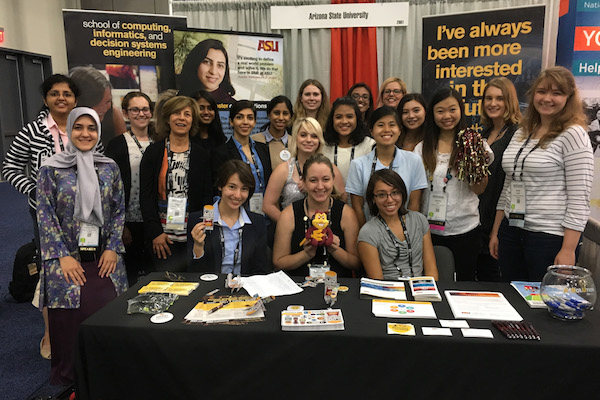 With a grant from the Anita Borg Institute’s Building, Recruiting and Inclusion for Diversity (BRAID) initiative, and additional support from one of the Fulton Schools — the School of Computing, Informatics, and Decision Systems Engineering— and ASU’s Global Security Initiative, 50 of ASU’s female computer science students were able to earn scholarships to make the trip to Houston for the 2016 Grace Hopper conference in October. At least 10 other ASU students also attended — some with support from companies for which they are working as interns. The event features leaders in the field from industry, academia and government, presentations on research, opportunities for networking and mentoring, and a career fair for those seeking jobs and student internships. In addition, there are professional development sessions geared to address the particular concerns of women working in the high-tech world. Students get chances to see and learn about women who are making significant contributions to computing, and to seek out professional relationships that could nurture them throughout their careers, Wu says. Nichole Emmons, who is graduating with a bachelor’s degree in December, calls the conference a “really powerful” experience. Waverly Roeger, who will receive her bachelor’s degree in the spring, was once one of those students. Talking and listening to others who had coped with feelings of being outsiders within their field of study “made me feel that I did belong, and that was a huge weight lifted off me,” she says. The conference also helped her to see that the challenges she was facing were not a sign of a lack of ability. The students are emphatic that their profession will contribute more to society if its practitioners are more diverse. Emmons says that if only a select group of people are involved in making and using new technologies, “then a lot of people are just going to be left out” of the future that technologists are creating. Assistant Professor Wu, who directs the Fulton Schools’ Energy-Efficient Computer Architecture Lab, says diversity improves the quality of research. “It brings different perspectives to how we approach solving problems and to our decisions about what problems are most important to solve,” she says. 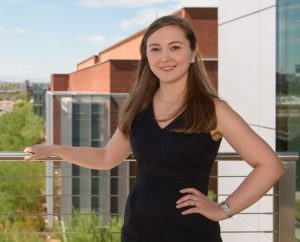 Nadya Bliss, director of ASU’s Global Security Initiative, is especially concerned about the lack of women earning degrees in computer science. Fewer than one out of five undergraduate degrees in computer science and engineering go to women, according to some studies. Bliss says the field is becoming more essential to the pursuit of advances “in every kind of security challenge we have,” including national defense, climate security and health security. More than that, computer science is more integral to everything from biology, business and medicine to agriculture, manufacturing, construction, journalism and social sciences, she says. She sees the need for computer science expertise growing so rapidly that demand will significantly exceed supply, and that without more women in the field the labor pool will be depleted. Much of the problem stems from “culturally ingrained attitudes” about women in science, and in computer science in particular, which are causing females to choose not to pursue those careers, she says. Many female high school and even college students who are interested in science, engineering and other technical fields often “look around their classrooms and don’t see anyone who looks like them,” she says. Bliss, who spent a decade in leadership roles at the Massachusetts Institute of Technology Lincoln Laboratory, a Department of Defense Research and Development Laboratory, says she was fortunate to grow up in a family with a tradition of females in highly skilled technical jobs. Her mother is an engineer, one grandmother led a company’s technology division and the other grandmother was a neurologist. The work environment at MIT Lincoln Laboratory was similarly supportive. “If you were into math, it didn’t mean you could not be into dresses. There wasn’t that image of ‘real scientists don’t wear dresses.’ The culture was one of technical meritocracy,” she says. Unfortunately, the stereotypes still have a widespread negative impact. “It’s not good to a have a culture that is not friendly to diversity, not friendly to things like people with families also having careers,” Bliss says. Wu points out that in addition to strong support from Bliss, other ASU colleagues in the computer science program have been putting extra effort into aiding that cause. Wu worked with Senior Lecturer Faye Navabi to develop the scholarship program that has sent hundreds of students to the Grace Hopper conference over the past three years. Navabi and Principal Lecturer Mutsumi Nakamura oversee a Women in Computer Science student club. Assistant Professor Sharon Hsiao and Lecturer Kanika Grover are on the scholarship program’s organization committee. 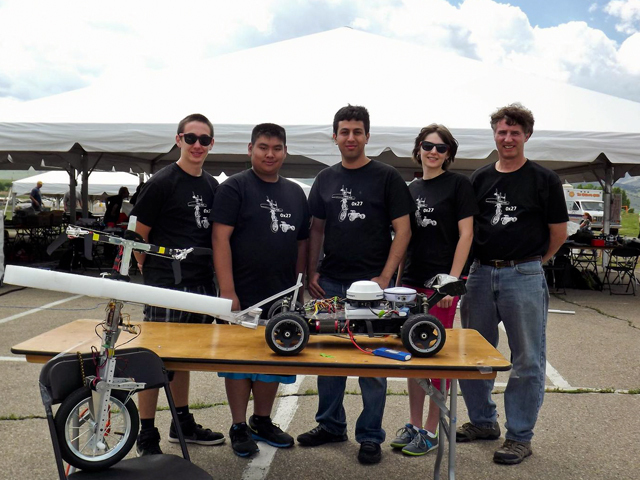 Grover and Navabi went to this year’s Grace Hopper event as mentors to the ASU students who attended. Professor Ronald Askin, the former director of the School for Computing, Informatics, and Decision Systems Engineering, has supported the scholarship program from its inception. He helped to raise funds to establish the scholarship and then continued to participate in activities to raise awareness of the need for women in the field, Wu says. 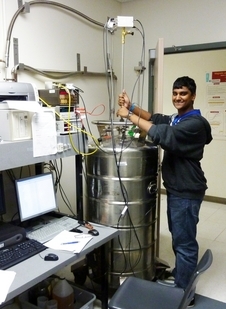 Askin has been joined in his support by the school’s interim director, Professor Sandeep Gupta. “They have all been going above and beyond the call of duty to make this an important goal,” Wu says.